Writers are a neurotic lot. We feel like we have to write or we’ll bleed out. But we also want people to read what we write and interact with the words or what’s the point? Getting our words to the reader is no small task. Usually a writer has to run through a gauntlet of queries, proposals, outlines, contracts, editors, graphic artists, marketing plans and other hoops to get our words to you, the readers. Third World countries go through regime changes faster than some words get published! Blogs have changed all that. Now it’s just you and me, baby. You can read the words, wrestle with them, smile, cast stones, grab a nugget of truth, leave a comment, and be on your way in minutes. Sweet. Why Call It Pilgrim on the Loose? The dictionary defines a pilgrim as someone on a long journey that’s often spiritual in nature. Life is the longest journey any of us takes and everyone makes the trip. Furthermore, God originally intended life to be a spiritual experience, so that makes all of us pilgrims. What, then, does it look like to live a spiritual life 24/7? That’s what this blog is about. A lot of people think God is found only in church and He ought to stay there and not meddle in the rest of life. Sorry. Too late for that. This whole world is His and He’s out “walking the property” every day. It’s our job to figure out what He’s up to, where He’s going, and how we fit into His plans. Think of Pilgrim on the Loose as a quick refueling stop for people on the run, who are hungry to know more about what happens at the intersection of life and faith. C’mon, let’s do it. You and me. It’ll be fun. If you sign up for the e-mail subscription on the Home page, you’ll get an alert whenever there’s a new post, so you don’t need to keep checking back. This blog will be mediated, which means I monitor reader comments before they are published. If you drop by just to create a scene or harass or argue theology, you’re at the wrong address. To the rest of you, I’m glad you’re here. Feel free to jump into the conversation and leave a comment at the end of any post. Love the whole feel of your writings. I look forward to these good reads! Excited to find your blog! Looking forward to future writings. Many times, while reading, I have found myself gazing toward Heaven asking: so that’s how it is, God? Thank you for sharing your insight. In a silent place, He has lead me to your wisdom. Thank you for sharing your wisdom! I am so happy to have found your writings. Actually, God has found them for me, as I wander through a seemingly endless journey of silence (with Him). As I read your words, I find myself saying “so that’s how it is, God?” I hope to read and re-read your thoughts and I only wish they were in printed form, so I would be able to underline and write notes in the margins. Thank you for sharing your wisdom. And thank you, Father God, for leading me to her insightfulness! Betty, I’m grateful for your kind words. 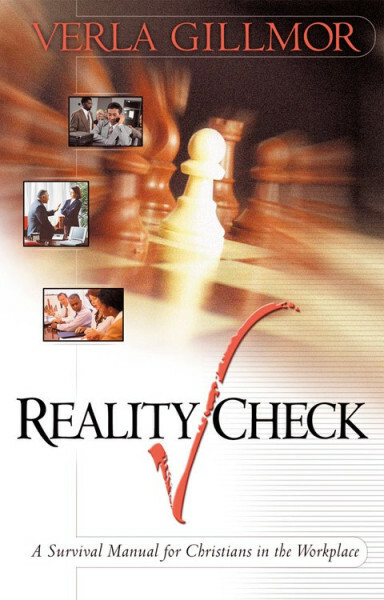 My book, REALITY CHECK, A SURVIVAL MANUAL FOR CHRISTIANS IN THE WORKPLACE, is available through Amazon. The title sounds like it is written for those in a workplace setting. It is actually a devotional style book on practical topics, much like the blog, with questions at the end of each section for self-reflection. You may find it helpful in your spiritual journey. Again, many thanks for the encouragement.